The National Earthquake Information Center has confirmed that a minor earthquake (2.1 magnitude) occurred in the park at 4:14 a.m. this morning. The epicenter was 5 miles deep on Goshen Ridge (elevation 4,700'), near Clingmans Dome. Earthquakes are more common to the west of the park in the Tennessee Valley, but since the 1970s, only three have been recorded as having epicenters within the park's boundaries. A 2.0 - 2.9 quake is considered minor — people may be able to feel it, but it causes no damage to buildings. To register for any 2015 Classic Hike of the Smokies, contact AnnaLee@FriendsOfTheSmokies.org or 828-452-0720. To support the Smokies Trails Forever program, a donation of $10 for members and $35 for non-members is requested. Non-members receive a complimentary 1-year membership to Friends of the Smokies on their first hike. Members who bring a friend hike for free. Is anyone else ready for hiking season? I know I am, but it looks like we may have at least a few more weeks of snow, cold and overcast skies. If you haven't decided where you're going to hike this summer, perhaps this video will provide some inspiration. In 2011 Dan McCoy hiked the Teton Crest Trail in the Grand Tetons, and came back with this wonderful video that highlights some of the incredibly beautiful scenery he saw along the way. 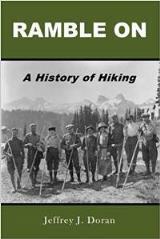 His four-day, 42-mile route took him from the Rendezvous Mountain Aerial Tram to Marion Lake, across the Death Canyon Shelf to the Alaska Basin, over to Lake Solitude, and then after climbing Paintbrush Divide, he returned to civilization via the Paintbrush Canyon Trail. In spring of 2015 the Great Smoky Mountains Association will be releasing their third film in the Smoky Mountain Explorer Series. This new film, called Grandstand of the Smokies - a Journey to Mt LeConte, will detail the history, recreation, and unique biological diversity of this geological treasure. Mt LeConte helped spur the creation of Great Smoky Mountains National Park, and every year thousands climb to the summit to take in one of the most scenic views in the world. Hiking the Tetons - Day 1 - Cascade Canyon from Clark on Vimeo. For more detailed information on this hike, please click here to visit our new hiking website for the Grand Tetons. Congressional Bill Would Extend North Country National Scenic Trail; Connect With A.T.
A bi-partisan contingent of U.S. Senators and Representatives have renewed efforts to improve the North Country Scenic Trail. If enacted, the recently reintroduced legislation would include a major reroute of the trail in Minnesota. 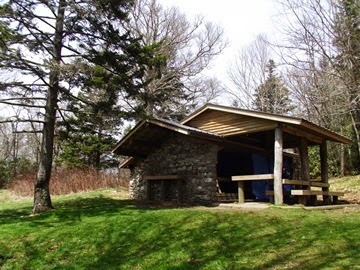 It would also extend the trail to Vermont, thus allowing it to connect with the Appalachian Trail. The trail - which currently extends from North Dakota to New York - was never built along certain sections in Minnesota. The originally proposed route passed through wetland areas that are difficult to build through, and have raised many conservation concerns. The newly reintroduced legislation would revise the authorized trail route to avoid these wetland areas by incorporating 400 miles of existing trails in the Minnesota Arrowhead region, which includes the Boundary Waters and North Shore of Lake Superior. If the billed is passed by Congress and signed into law, the North Country National Scenic Trail would extend for roughly 4600 miles: from North Dakota to Vermont. If that wasn't enough, hikers could extend a one-way hike by heading south along the Appalachian Trail, thus making a one-way hike that travels for almost 6800 miles! For more information on the bill, please click here. For a PDF version of the NCST map, please click here. 58NationalParks has produced another excellent overview of Glacier National Park. If this video inspires you to visit Glacier this upcoming season, the best way to explore this wonderful park is to take a hike along one of the many hiking trails that meander throughout the park. If you do plan to visit Glacier this year, please note that our website also offers a wide variety of accommodation listings and other things to do to help with all your vacation planning. In recent years, the A.T. thru-hike experience has at peak use times suffered severe overcrowding at the southern end of the Trail. Crowding intensifies because hikers tend to start thru-hikes around specific dates, such as March 1st, March 17th, and especially April 1st and weekends. Overcrowding puts undue pressure on the finite number of shelters and campsites and on the water, plants and wildlife near these accommodations. When too many people are crammed together at campsites, vegetation is trampled, trash may accumulate and unsanitary conditions can ensue. These issues that arise due to overcrowding are detrimental not only to the A.T. but also to the hiker’s overall experience. “With a large number of new hikers expected along the Appalachian Trail in 2015 and 2016, the Appalachian Trail Conservancy hopes that this new voluntary thru-hike registration system will allow hikers to know in advance when overcrowding along the Trail will exist, and then adjust a thru-hike start date to his or her advantage – the solution is simple, the hikers need to spread out,” said Morgan Sommerville, the ATC’s regional director. Users of this voluntary registration system should keep in mind that it does not provide hikers with guaranteed spaces along the A.T. or serve as a substitute for any required permits. At this time, registration is only open for 2015. Registration for 2016 will be available on Dec. 1, 2015. For more information about the new system, please visit www.appalachiantrail.org/thruhikeregistration. 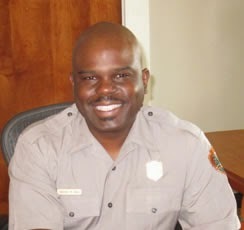 Great Smoky Mountains National Park officials invite the public to four open house opportunities to meet and welcome new Superintendent Cassius Cash to the Smokies. The open houses will be held in late February from 4:00 p.m. to 6:00 p.m. at each location. Two open houses will be held in North Carolina and two will be held in Tennessee. Cash most recently served as Superintendent of Boston African American National Historic Site and Boston National Historical Park where he developed many partnerships with the surrounding community. This will be the first opportunity for the public to meet the Superintendent who begins working at the Smokies on February 9th. The open house events will be held on Tuesday, February 17 at the Oconaluftee Administration Building adjacent to the Oconaluftee Visitor Center near Cherokee, NC; Thursday, February 19 at the Barn Event Center in Townsend, TN; Tuesday, February 24 at the Historic Calhoun House in Bryson City, NC; and Thursday, February 26 at the Calhoun’s Banquet Room in Gatlinburg, TN. The open house events are hosted by Friends of the Smokies, Great Smoky Mountains Association, the Townsend-Walland Business Alliance, the City of Townsend, and the Historic Calhoun House. Light refreshments will be served from 4:00 p.m. to 6:00 p.m. This just might be the best video of the Great Smoky Mountains I've ever seen. It was produced last fall by a small start-up known as "More Than Just Parks". This spectacular 4-minute film is the culmination of two weeks spent extensively filming some of the most incredible parts of Great Smoky Mountains National Park. More Than Just Parks has set the goal of producing similar films for all 59 national parks. They hope that this will encourage folks to get out and have one-of-a-kind experiences of their own in our national parks! They also hope that these videos will help to build a greater awareness for all of the breathtaking natural wonders protected by our national park system. MTJP | Smoky Mountains from More Than Just Parks on Vimeo. For more information on the MTJP project, please click here. If this video has inspired you to visit the Smokies this year, the best way to explore this wonderful park is to hike along one of the many trails that meander throughout the park. With over 850 miles of trails, the park is without a doubt a hikers paradise! While making your plans, please note that our hiking website offers a wide variety of accommodation listings to help with your vacation planning.